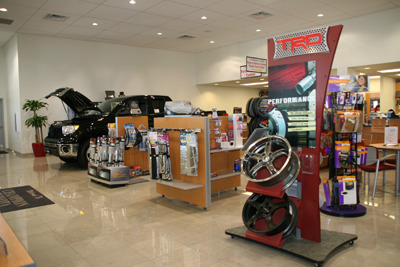 AutoNation specializes in selling Geniune Toyota OEM Parts and Accessories. AutoNation Toyota Scion Gulf Freeway has been one of the largest Internet Toyota dealers in the US since 1996. Browse our website for the Toyota part or accessory you are looking for. If you can not locate it, please call us at 800-327-2087, so we may assist you. We have trained Toyota car and truck parts specialists ready to assist you with your order. AutoNation Toyota Scion Gulf Freeway Parts location: 12111 Gulf Freeway Bldg B, Houston, Texas 77034. We also sell Hyundai parts and accessories. AutoNation Toyota in Houston has a large selection of New Toyota vehicles and Certified Pre-Owned Toyota vehicle deals. Our goal is to treat you special. We want to be your preferred Toyota dealer.